What are the best luxury private island resorts in the world, where there are just a handful of villas, long stretches of beautiful beach to call your own, superb dining, and ideally great snorkeling and scuba diving? Here are my top recommendations, whether you're planning the perfect honeymoon or anniversary trip, or even taking the kids along for a very special family vacation. 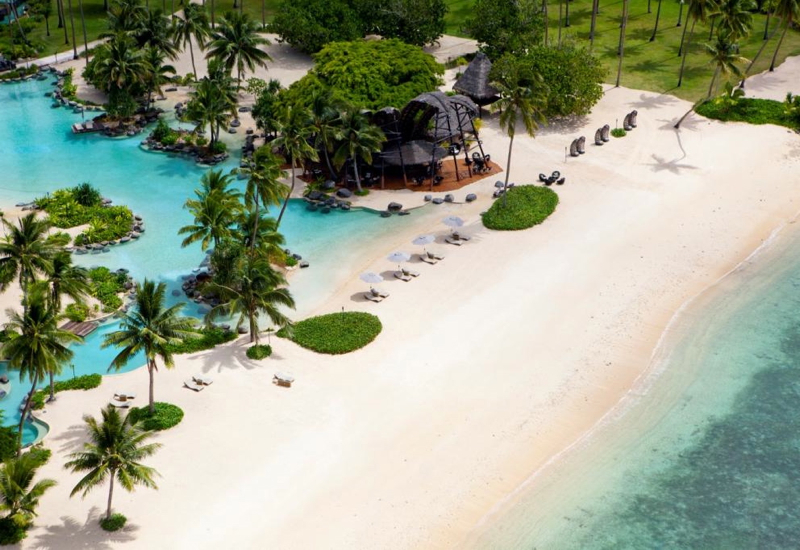 Laucala island was previously owned by Malcolm Forbes, but this spare-no-expense private island resort was created by Dietrich Mateschitz, inventor of Red Bull, who purchased the island from the Forbes family in 2013. The smallest villas are over 4000 square feet, with bathrooms larger than the size of an NYC or Paris hotel room. There are just 25 stand alone villas, including an overwater villa and the Hilltop Estate, which is where Mateschitz himself stays when in residence. Impressively, there are 350 staff, or 14 per villa, and that's if all the villas have guests staying in them. Dining: Five restaurants and bars, from tasting menus at Plantation House to Asian and Fijian favorites at Seagrass Restaurant to private dining. 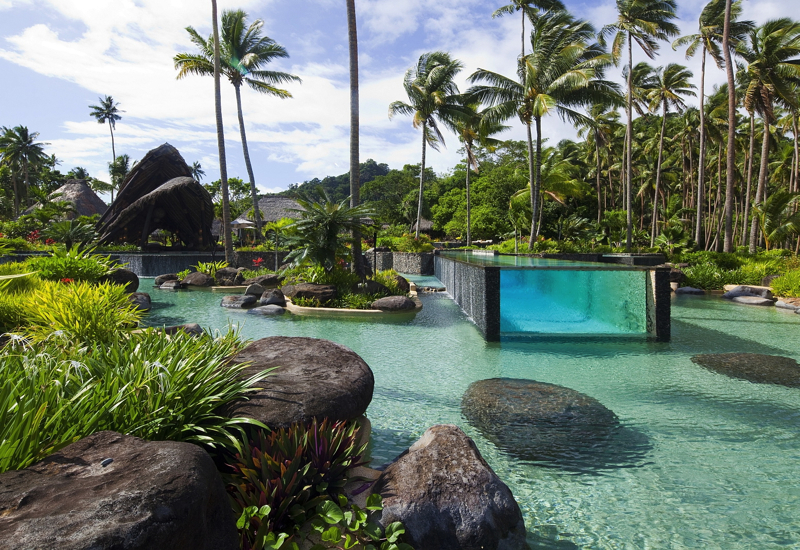 Executive Chef Anthony Healy makes the most of Laucala's own produce and organic farm: Laucala is 80% self-sufficient. Weather and When to Go: The best time to go is during the dry season, late April to October. The wet season tends to run from November to early April. 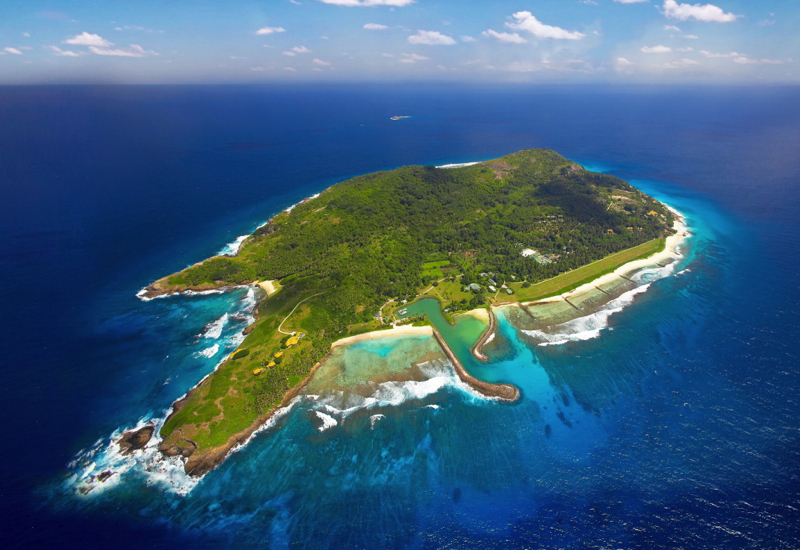 Fregate Island in the Seychelles manages to uniquely offer incredible private island luxury while also focusing on conservation efforts: the island is home to 2200 free-roaming Giant Aldabra Tortoises and to hundreds of Hawksbill Turtle nests, as well as to over a hundred different tropical bird species. There are just 16 private pool residences, and you'll have your own buggy so that you can explore the island, including its seven beautiful beaches, at will. 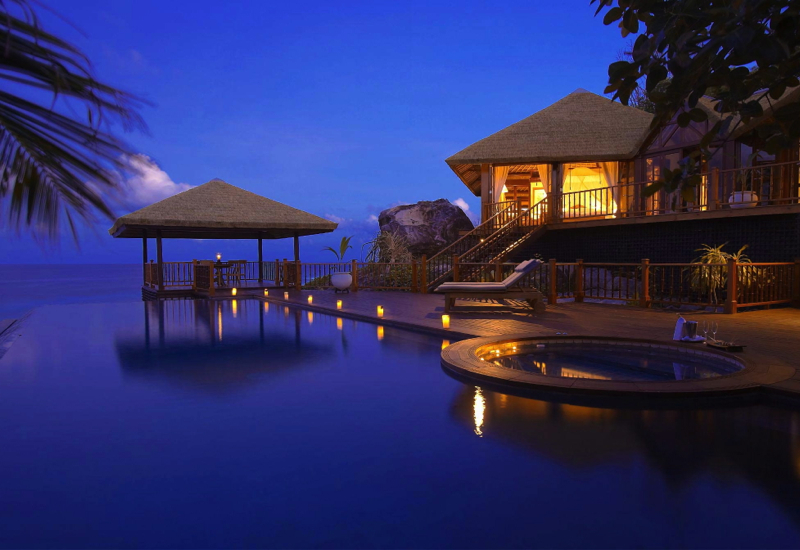 Dining: As with Laucala, Fregate Island also emphasizes its own organic fruit and produce in its culinary creations. It similarly benefits from delicious fresh fish caught off its shores. Dining venues range from the island's Treehouse in one of Fregate Island's oldest banyan trees, to a beach BBQ to a Sunset Cruise or the privacy of your residence. Kids' Club? Yes, the Castaway Club offers activities for kids ages 3-12. Cheval Blanc Randheli is a sister property to Cheval Blanc Courchevel, with Cheval Blanc as the luxury resorts of Louis Vuitton. 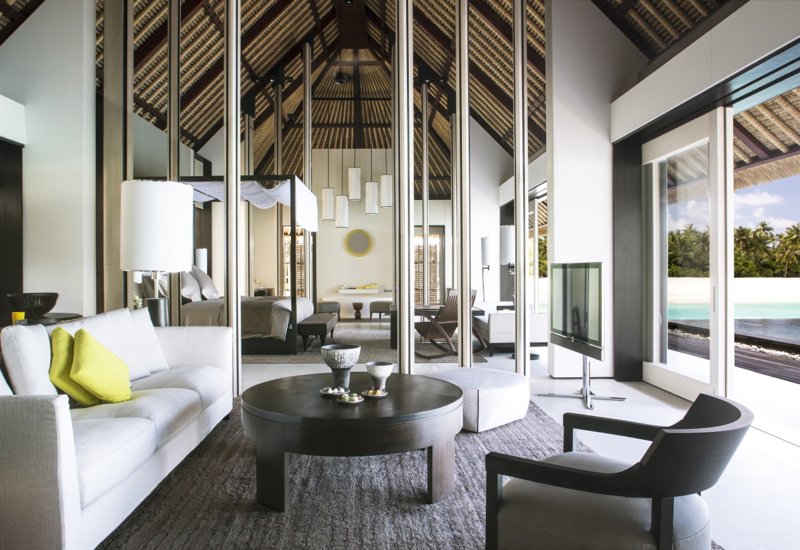 One of the newest luxury resorts in the Maldives, it welcomed Prince William and Kate Middleton in 2014. It's no wonder the royal couple chose to stay, with luxury touches from its private lounge and customized Cheval Blanc seaplane with just 9 leather seats, ipads and noise cancelling headphones, to its 45 spacious villas, each with a private infinity pool, attentive service from your “Alchemist,” who helps ensure a memorable experience for each guest, and some of the best dining in the Maldives. Dining: Le 1947 is Cheval Blanc Randheli's signature fine dining restaurant–make sure that your visit includes a Monday, Tuesday or Wednesday, since those are the days the restaurant is open. Dyptique, which offers Japanese and Asian cuisine, is open Friday, Saturday and Sunday for dinner only. Deelani serves Italian cuisine daily, and White Restaurant offers all day dining daily. Weather and When to Go: The dry season in the Maldives runs from November to April. 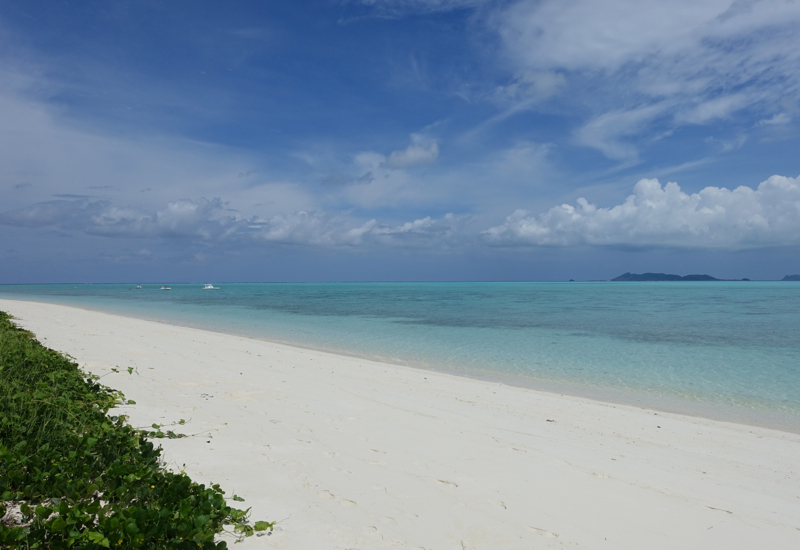 Amanpulo has the best white sand beach we've experienced so far; see my Amanpulo Review. Kids' Club? Yes, complimentary kids' club–my son loved it! Have you visited any of these luxury private island resorts? Honeymoon in Hawaii: Which Island and Which Hotels?